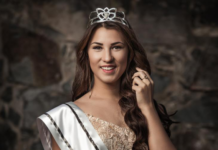 Carolyn Carter prides herself as the first Chippewa woman to win the Miss Universe US Virgin Islands title. But aside from that, she is among the few ladies from around the world to have competed in more than two major pageants. She first represented the islands in Miss World 2010 in China. A year after, she competed in Poland for the Miss Supranational crown. In 2012, she flew to Manila for the Miss Earth finals. This month, she will be flying back to the Philippines for the 65th Miss Universe pageant. But before that, let us know more about this stunner. As well as representing the US Virgin Islands and the Caribbean, I am also a Native American woman, descended from Chippewa, Paiute, and Klamath tribes. I didn’t have the opportunity to meet my biological Native American father until I was 19, so I’ve had to find ways to connect with my tribe and learn about my heritage on my own. It’s a challenge to grow up with people pointing out how differently you look, and unfortunately it creates self-doubt, and in the back of your mind you question your worth and identity. It’s been an enlightening and rewarding journey though to reach out and embrace my Native American roots, especially this year as I had the opportunity to meet my great aunt and cousins on the Fond Du Lac reservation in Minnesota. It truly felt like a welcome home celebration, and the tight-knit, loving, supportive tribal community that so graciously received me felt just like the close-knit community I was raised with in the US Virgin Islands. Native American tribes and the US Virgin Islands have so many positive qualities in common, and I am honored to be representing these two important communities in my life. It is my hope that by sharing my challenges and my experiences it empowers young girls and boys around the world to truly embrace who they are, love themselves, and know that they are perfect, just the way they are. Sometimes I dream in 500 directions, involve myself in multiple creative projects, and end up spreading myself too thin. I like to say it as a flaw and a gift. Without passion in my life I don’t think I would be where I am today, but I do recognize that I must narrow down and focus on the most important goals, and accomplish one dream at a time! We are so much more than beautiful beaches and sunny days. Our islands are rich with history, natural resources, and culture! We LOVE to celebrate life and we are a tight-knit community, full of love and warmth. We want our guests to feel at home with us! I believe people are most surprised to find out how each of our islands has a different personality. St. Croix is historic and charming, St. Thomas is vibrant and bubbly, and St. John is a national park with untainted natural beauty. Whatever our guests desire, we can accommodate! Love the skin you’re in. Literally! I have a daily skincare regimen that I perform no matter where I am in the world. I always wash my face before I go to bed and first thing in the morning, and I apply different masks based on how my skin is reacting to the weather. I use organic beauty products because our skin in our biggest organ, and everything we apply on it eventually soaks into our bodies. In the Caribbean, we celebrate natural beauty, so having clear and radiant skin is important! As a child I had a fear of public speaking (as most of us do!) and joining pageants was a wonderful way to challenge myself, turn a negative into a positive, and focus on conquering my fears! Interview training has by far been the area I have invested the most time in while preparing for Miss Universe 2016. It’s important to me that I am able to use my title to share my story about who I am, the challenges I have faced growing up as a Native American, the beauty of the US Virgin Islands, raising HIV Awareness, and being an ambassador for Smile Train. Social media has the power to reduce the negative stigma about pageants. To compete in a pageant on any level takes hard work, preparation, and whole lot of guts! I commend anyone who has the dream of becoming a beauty queen, because it’s not easy! Luckily, social media has transformed the pageant world in what I feel is a truly beneficial way. As contestants, we have opened the windows into our hearts and souls, and poured out the intricate details of what we are doing behind-the-scenes to prepare for Miss Universe. I approach social media as a powerful platform to share my journey as Miss Universe US Virgin Islands. I’ve used Instagram (@CarolynCarter) to document my different experiences, and it’s been a wonderful feeling to connect and engage with people from around the world. From the glamorous photo shoots with Fadil Berisha, to the intense runway and interview training with Lu Sierra, to more personal journeys of visiting family at my Native American Fond Du Lac Tribe in Minnesota, spending Thanksgiving morning with my family in the US Virgin Islands, and working closely with Native American children and families whose lives have been transformed by Smile Train. I have been so thankful for the power of social media and the ability to share this incredible, once-in-a-lifetime journey with people from all around the world. By documenting my experiences, maybe it has changed one person’s view about pageants or maybe it has inspired one little girl to believe in herself, and for me, that makes it all worthwhile. I have dreamed of nothing but competing in Miss Universe for the past 5 years. Why, you may ask? Beauty pageants have the power to transform. Beauty pageants have changed my life and empowered me. Unfortunately, in the past, many people only had the opportunity to see (and judge) the integrity of pageants by the televised segments. Behind-the-scenes, though, there are hours, months, YEARS of hard work, sweat, and preparation put in by contestants to reach this pivotal final moment! With the power of social media, I do feel the doors are opening and people can now see (and be a part of) our journey from start to finish. I do feel the stigma is being reduced. I know we’ve all been working tirelessly this year to be in the best shape of our lives, eating healthy, going to the gym, training in interview/hair/make-up, all-the-while volunteering and advocating to make a difference in our communities. From my experience, beauty queens are hard working, determined, passionate, ‘confidently beautiful’ women who empower other women in their communities and around the world. All of the Miss Universe queens are inspirations – they are strong role models who make a difference in their communities and empower women to feel confidently beautiful. I truly relate with Olivia Culpo, Miss Universe 2012, because I admire her down-to-earth personality and how her natural beauty shines. She inspires me to be myself, and I believe that’s what a true role model does: empowers you to be YOUR best self. As a child, I doubted my self worth because I looked different than everyone else. The challenges I faced being a minority and overcoming the negative stigma of being Native American have pushed me to embrace my heritage, celebrate who I am and where I come from. Yes, I am from the US Virgin Islands, and yes, I am Native American, but what truly defines me is that I am a confidently beautiful woman with a heart. My life experiences have inspired me to share my journey with young girls around the world, in the hopes that it empowers them to know that they are beautiful and perfect just the way they are.